Frogs and toads can encounter a number of hazardous situations in Illinois' human-dominated landscapes. They may be mauled by domestic pets, mishandled by curious children and adults, fall into window wells, or become trapped in or around buildings. The moist skin of a trapped frog or toad will dry out and the animal will desiccate and die if it cannot find its way to an environment with high humidity. Additionally, many frogs and toads are crushed by vehicles when they cross roads, especially when moving to and from breeding ponds. Some frogs, especially bullfrogs and green frogs, will find and take up temporary residence around ornamental backyard ponds. While they generally do no harm, bullfrogs will occasionally become a nuisance when they catch and eat small koi, goldfish, or other fish stocked by the pond owner. Erecting a small fence or landscaping wall at least 1.5 feet tall may reduce the likelihood of bullfrogs entering these ponds. Toads can be found in shallow burrows around building foundations and in flower pots and planters. Treefrogs often find shelter in wood piles and feed on insects while clinging to windows and siding. In most cases, frogs or toads do not need to be removed and will move on by themselves. If a rescue is needed, frogs and toads can be covered gently with a moist cloth in a cupped hand, grasped gently with the hand, and placed in a container. Frogs and toads can be rescued from deep window wells by climbing in and out of the window well with a step ladder. Alternatively, place some moist leaves in a small pail and tie the pail to a long string. 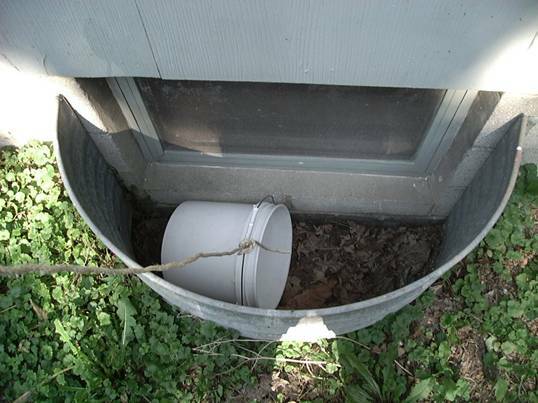 The pail can be lowered into the window well and positioned to lie on its side. Once the animal crawls into the pail and settles under the leaves, the pail can be raised up by pulling the string. 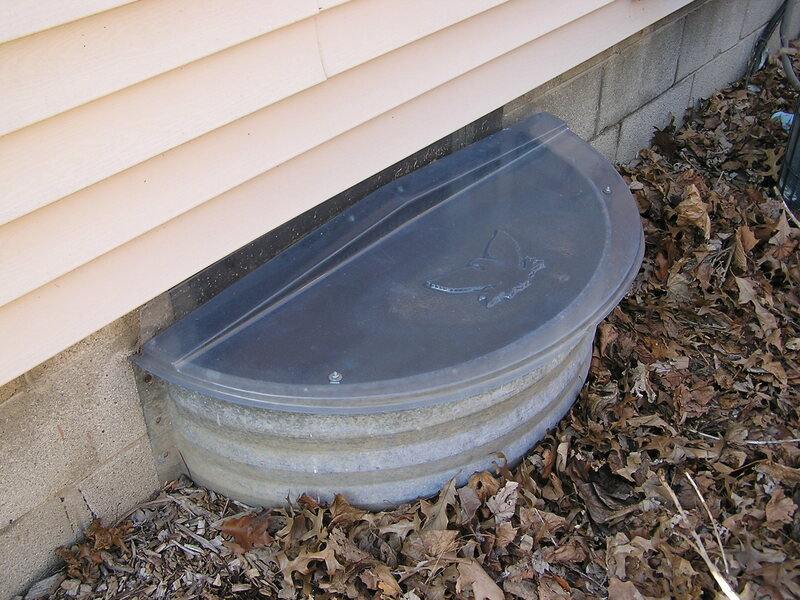 Inexpensive window well covers should be installed to prevent animals from becoming trapped in window wells. 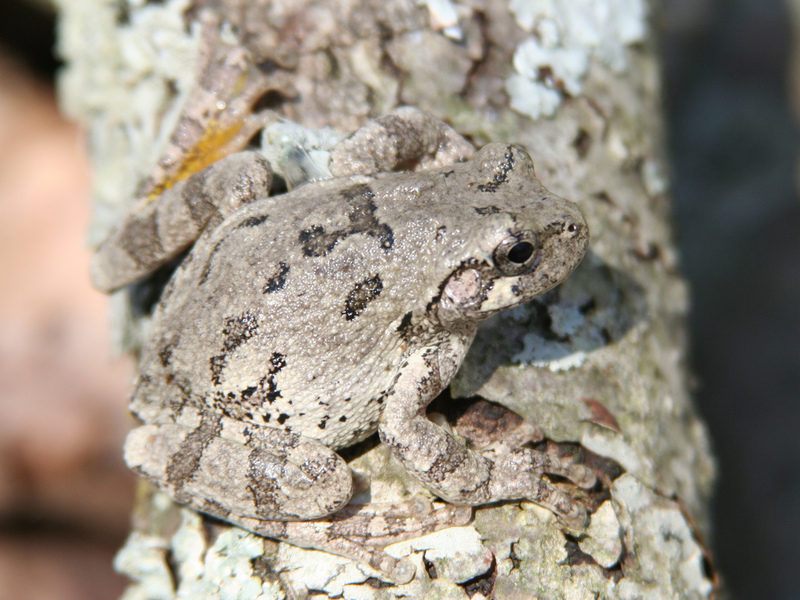 None of Illinois' frogs and toads bite when handled, but the skin secretions of toads and treefrogs may irritate human eyes, nose, or mouth if contact is made. Pets may experience nausea if they mouth or ingest a toad or frog. Always wash hands with hot water and soap for 20 seconds if frogs or toads are handled. Like frogs and toads, salamanders can also find life hazardous in Illinois' human-dominated landscape. They may be mauled by domestic pets, mishandled by curious children and adults, fall into window wells, become trapped in or around buildings, or find their way into crawl space and sump pump pits. If salamanders become trapped, their moist skin will dry out and the animal will desiccate and die if it cannot find its way to an environment with high humidity. 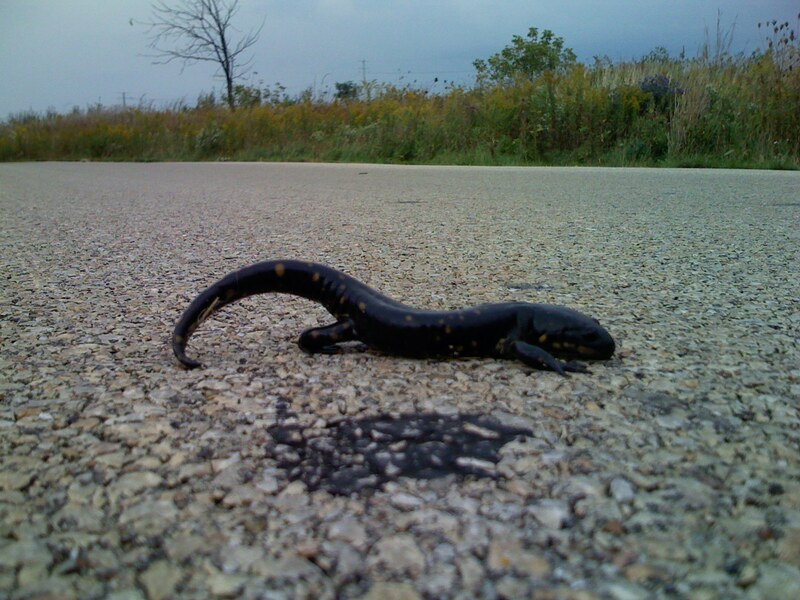 Salamanders can also be crushed by vehicles while they are crossing roads, especially when moving to and from breeding ponds. Mole salamanders (genus Ambystoma), such as the tiger salamander, can be found beneath garden soil, in shallow burrows around building foundations, and under flowerpots and planters. Adult salamanders of some species move into temporary and permanent ponds to breed and lay eggs. Aquatic larvae hatch and grow and eventually metamorphose into adult salamanders. The adult forms leave the pond and live a terrestrial existence above and below the soil. Salamanders are often encountered when they fall into window wells or make their way into sump pumps and cisterns. If a rescue is needed, salamanders can be covered gently with a moist cloth in a cupped hand, grasped gently with the hand, and placed in a container. Alternatively, a dustpan or a stiff piece of cardboard can be slid gently under the animal in order to place the animal in a container. Salamanders can be rescued from deep window wells by climbing in and out of the window well with a stepladder. Salamanders can also be rescued from window wells by placing some moist leaves in a small pail and tying the pail to a long string. The pail can be lowered into the window well and positioned to lie on its side. Once the animal crawls into the pail and settles under the leaves, the pail can be raised up by pulling the string. Inexpensive window well covers should be installed to prevent animals from becoming trapped in window wells.